Now you can buy one of Wheelys’ new bicycle cafés on Indiegogo! You can buy one of Wheelys’ new bicycle cafés on Indiegogo! 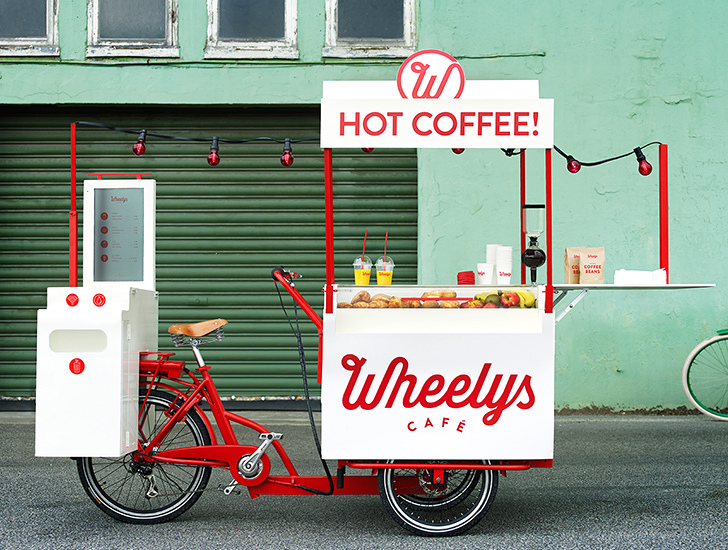 The team behind Wheelys, the world’s smallest and arguably most eco-friendly café, just launched a new coffee shop on wheels and an Indiegogo campaign to allow entrepreneurs around the world join their global coffee franchise for just $3,450—less than 1 percent of what it would cost to launch a Starbucks franchise. The tiny solar-powered and WIFI-ready mobile cafe is enclosed in a hi-tech bicycle and is equipped to serve coffee, sandwiches, and even refrigerated drinks. Successfully tested in countries across the world from Singapore to Jordan, Wheelys has the potential to generate up to $700 per day despite its low startup costs. Want to see a Wheelys in your city? You can pledge support or buy your own cafe bike on the Wheelys Indiegogo page.